Scrappy Palace: September Rossibelle Collection Details Within! Today I am going to give you close ups on the details of my Limited Edition Kit work from My Creative Scrapbook. I ended up doing three layouts and two cards. 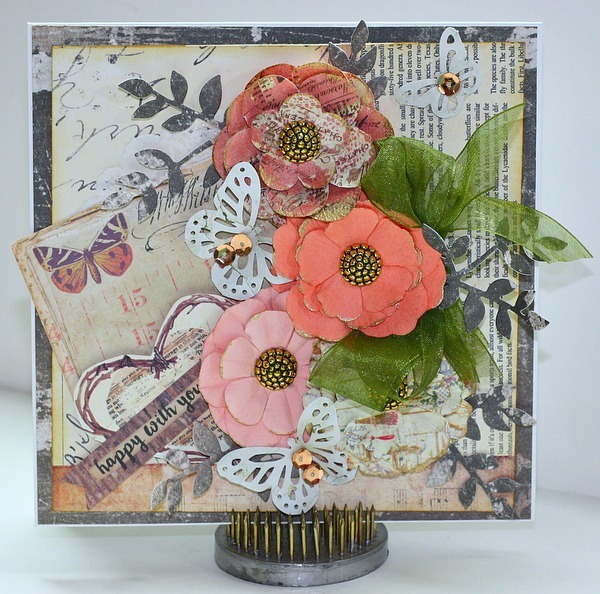 Most of you already know I love to layer and pop things off the page to make them come alive. 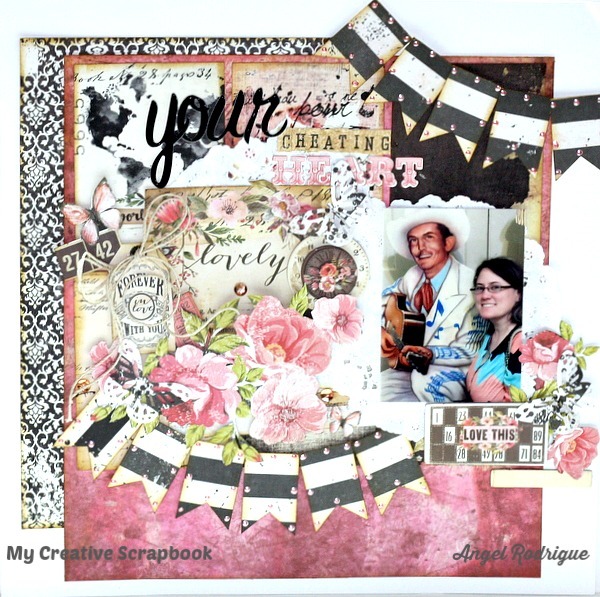 My First layout is Your Cheating Heart! Looking this layout its hard to tell that this is popped up. So Here is a closer picture of this layout. 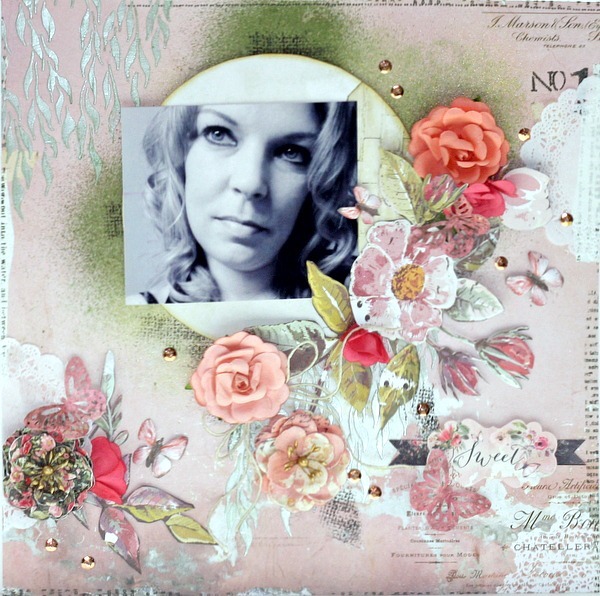 I have used the Prima Collection Called Rossibelle. I cut out several things from the paper line and I also used some of there chipboard pieces and stickers. I added pop dots underneath to give it a dimensional look. Here is a closeup of the details on this one.. This layout is a tribute to a sweet girl that has earned her wings too soon.. She was so Beautiful. I adhered most flat and added a pop dot at some spots to make it come to life. Also Cut some blooms and rolled them up to make more flowers as you see in the closeup. 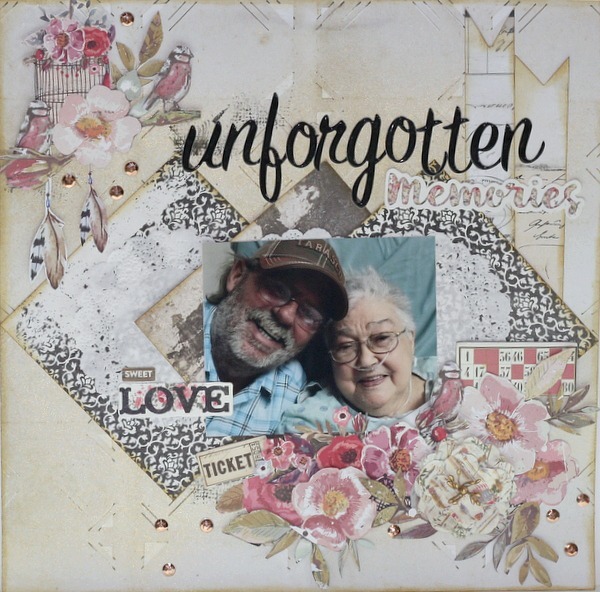 On this last layout called Unforgotten Memories. I did a little raising with pop dots and alot of fussy cutting.. 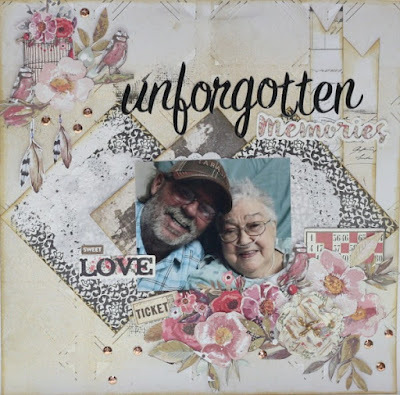 This layout is my grandmother who has recently passed away at age 87. She was a very sweet woman and will always be remembered. Here is a close ups of the groups on this page. I loved the sequins that was added in the kit. It was truly fun to play with. All cut outs was cut from the same paper line. I used some of the chipboard as well. Just look at all those beautiful flowers that I have clustered together. Added beads and twine as well a a punched out butterfly. 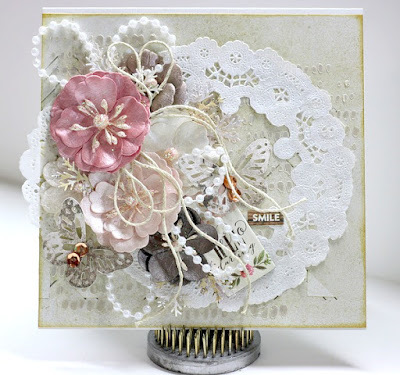 Cut the inside out of a doily and it just makes the perfect card. This one has the bow tucked under the flower as well. I also fussy cut the heart out of the paper line and used the stickers, punched out butterflies and sequins. The Punch is a Martha Stewart punch.. The possibilities are endless with this kit. Lots of beautiful things to create with. Be sure to check out the September Limited Edition Kits! Hope you was inspired to make you creativity come to life!